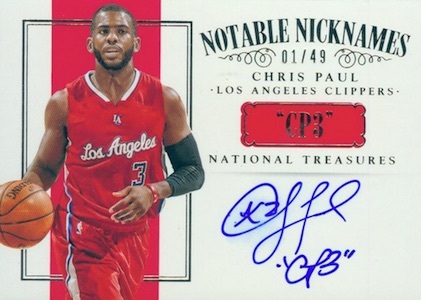 2014-15 Panini National Treasures Basketball sits towards the top of hobby's high-end. 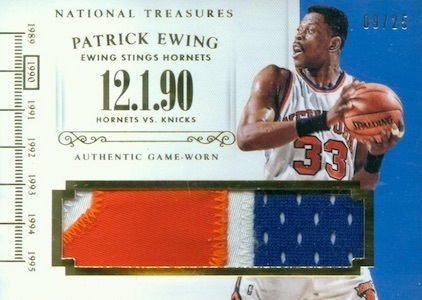 While Panini's Immaculate and Flawless brands give it company, it has the longest history of the three. 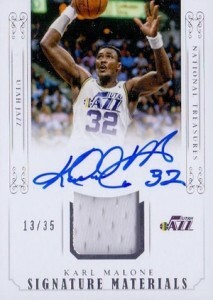 The ultra-premium product delivers a total of eight autographs and memorabilia cards per box. 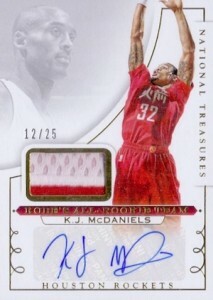 Rookie Patch Autographs return as one of the key components of the release. Numbered to 99 or less, these represent some of the key (and most expensive) rookie cards for the likes of Andrew Wiggins and the rest of the year's rookie class. 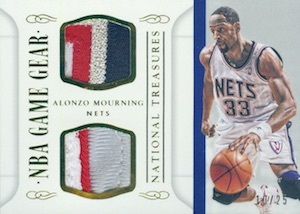 Base versions have a vertical design to go with the over-sized swatch from a player-worn jersey. 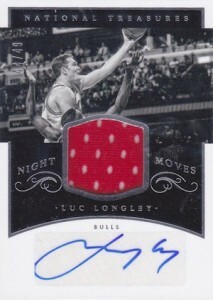 Among the variations are horizontal versions and logoman autographs. 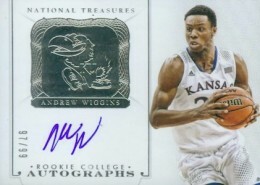 Sticking with the rookie theme, 2014-15 Panini National Treasures Basketball also has college-themed cards for rookies, a first for the brand. 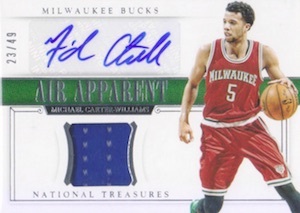 Not all autographed memorabilia cards in the product feature rookies. 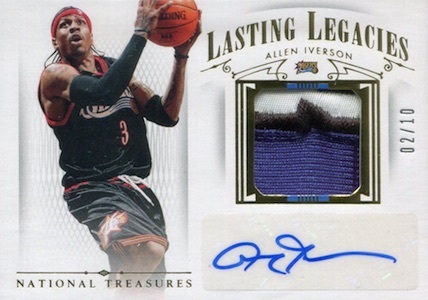 Treasured Tags comes with on-card signatures and recognizable pieces of jerseys like tags. 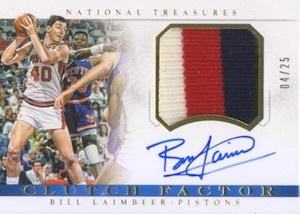 Clutch Factor is another insert set with signed memorabilia. NBA Champions spotlights current and retired players who have won the league championship. The autograph set comes hard-signed. Notable Nicknames come with inscribed signatures with the player's well-known alternate handle. 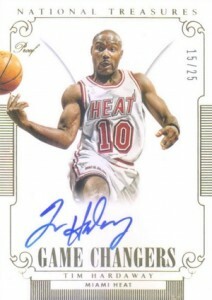 Additional on-card autographs can be found in Game Changers, Colossal Jersey Signatures, NBA Game Gear Signatures and Signature Moves. It will be interesting to see once the set releases if there will be a greater concentration of sticker autographs in other parts of the product. 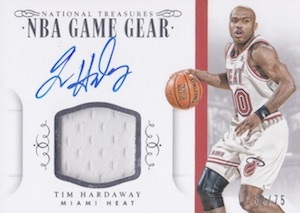 This has been a noticeable trend in recent high-end releases like 2014 National Treasures Football and 2014-15 Immaculate Basketball. 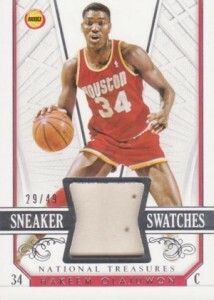 Carrying on from the shoe-themed inserts in Immaculate are Sneaker Swatches. While these do have pieces of game-used sneakers, they're not on the same level size-wise as Immaculate's Sneak Peek. 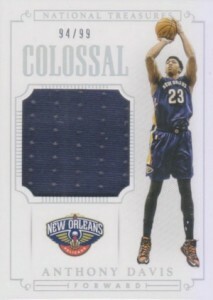 Colossal, one of National Treasures' staples, returns with over-sized swatches. 32 cards. Serial numbered #/99. 49 cards. 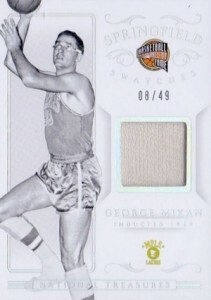 Card #6 only available in parallels. View the specific prints runs for each card with the full spreadsheet. 59 cards. Serial numbered #/49. 30 cards. Serial numbered #/49 or as noted. 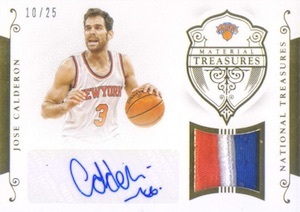 Includes various plates from previous Panini basketball products. The NBA champions looked stunning. 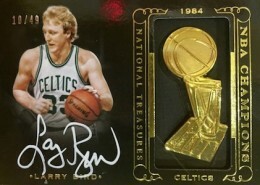 This is like the rolls royce of basketball collecting. Absolutely exquisite. Immaculate basketball a much better product. This product was by far better than the Immaculate release. It looks like Panini has made a conscious effort to include at least one top card in every box, which was completely unlike Immaculate. There was only one box out of the four I bought with two “top” cards. 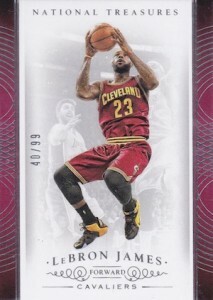 I pulled a Shaq on card auto and a LeBron James sneaker card. You get 10 cards per box, one of which is a printing plate. I did get two point cards so that was bit of a disappointment, but Panini has put up better cards for redemption. What’s keeping the rating from a four star is the card variance based on price. Very nice product. Gotta love the RPA’s and the looks of the cards! Too many insert sets and veterans, though. 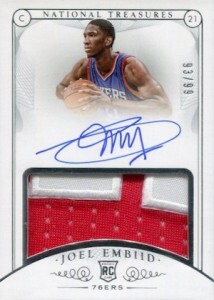 Biggest minus: Sticker autos in some insert sets – not appropriate for this high-end retail price. Can anyone tell me what size the Gold Logoman Signatures are? I am working on a set of the game gear autographs. 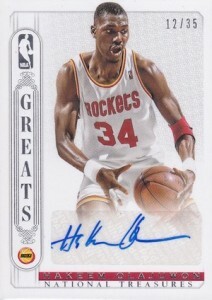 Is there a more complete checklist because I have seen a James Worthy and Yao Ming on Ebay but it isn’t on this checklist? 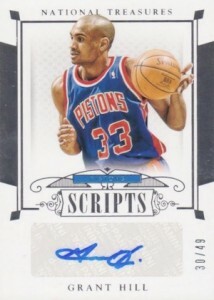 Brian � This is what was provided by Panini.